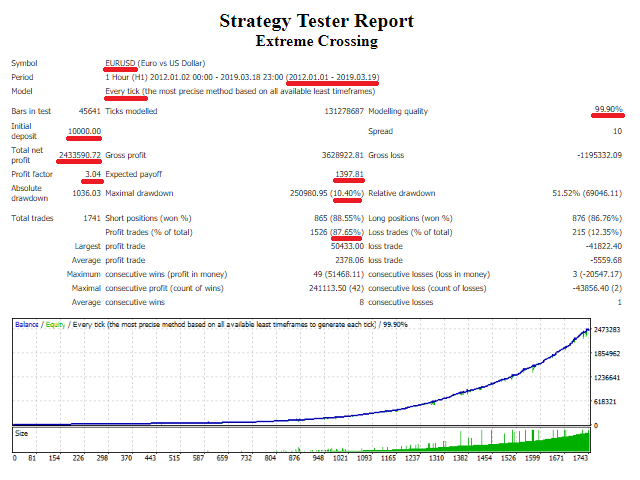 Extreme Crossing is a fully automated Overbought & Oversold Crossing Expert Advisor. This robot is designed for major currency pairs. It trades Mean Reversion & Trendy RSI Extreme Level crossing style. 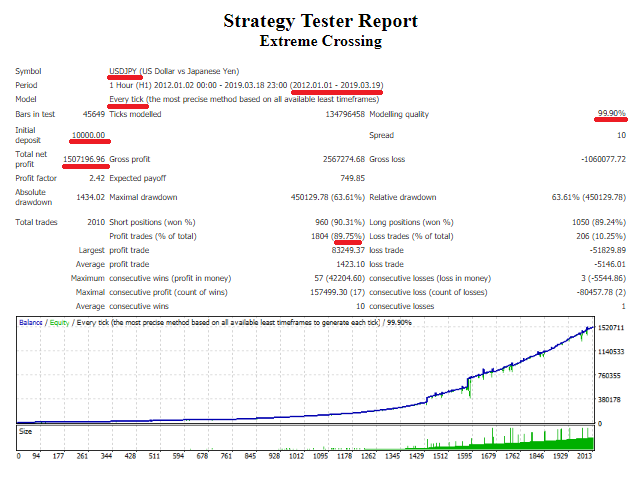 Trades are filtered by results of analysis of daily and monthly chart. 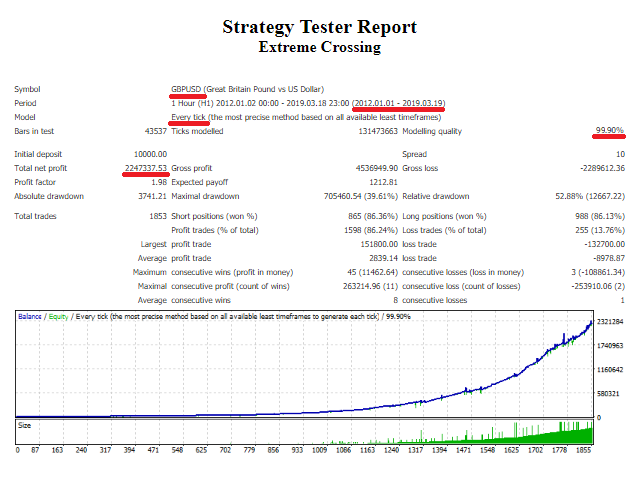 The Expert was tested in 7 years of historical real tick data of major currencies with commission and slippages. Please download it and test it yourself. I will always help you. For best settings and recommendations, please contact me ! Auto Lot: Enable/disable auto lot calculation. If Auto Lot is true, the expert will allocate your selected percentage of free margin. Percentage of Free Margin (0-100): When Auto Lot is enabled and this value is 80, it means expert will use 80% of your free margin for trading. This value must be between 0-100.